Someone’s in the Kitchen with Big Mur | WWMD? 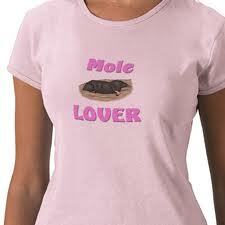 Only Mur would yell “mole! mole!” instead of yelling “mouse!mouse!” Perhaps some day you could talk about all the different ways that Mur has dealt with our bats! Well, it was a mole. Mur has a nack for identifying things quickly and accurately…crops…rodents…his children, wait, not his children. But rodents and crops he’s pretty good at.